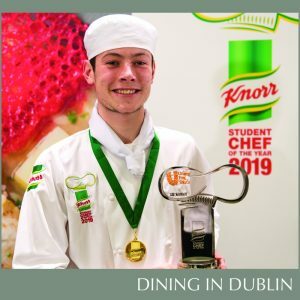 After a fierce two-hour cook-off Lee McDonagh, representing Technological University Dublin – Tallaght Campus has been crowned the KNORR Student Chef of the Year 2019, making the Tallaght campus the reigning champions for two years running. Lee went up against seven other young student chefs from across the island of Ireland to cook up a storm and create two plates. 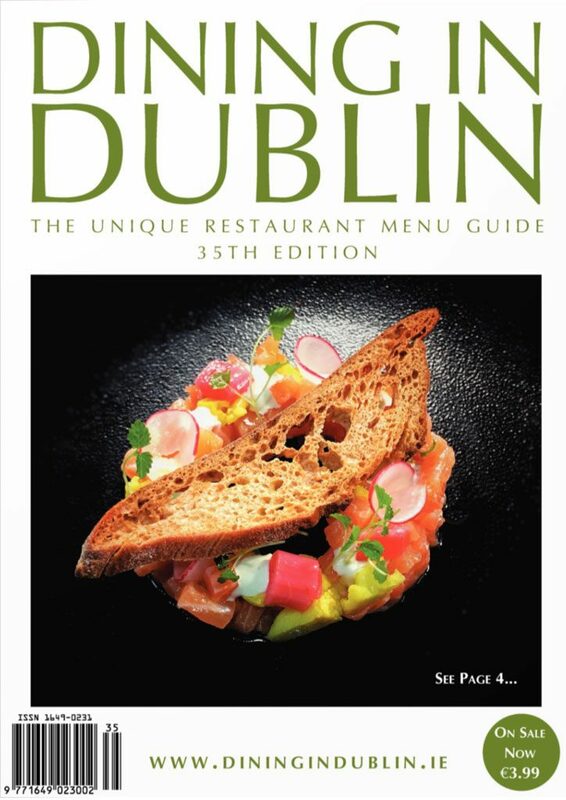 The theme of this year’s competition, ‘Street on a Plate: a street food feast inspired by the food trucks, street stalls and farmers markets of Ireland,’ celebrates the evolving palette of the Irish population and its influence on the Irish food market. Students are marked for their creativity and interpretation of the theme as well as the presentation of each dish, food waste management and allergen awareness. Completing the top three was Daniel Hartigan representing Waterford Institute of Technology, who won the silver prize, and Bangaly Doumbouya from Limerick Institute of Technology in third place. Overall winner Lee McDonagh shared his inspiration behind each dish, “I have a keen interest in Japanese cuisine and enjoy learning about different cultures and food traditions. My dishes were reflective of traditional street food plates, with a more modern interpretation.